FCC Chairman Ajit Pai talked to CNBC today about his view of light-touch regulation and a possible Sprint-T-Mobile merger, among other things. 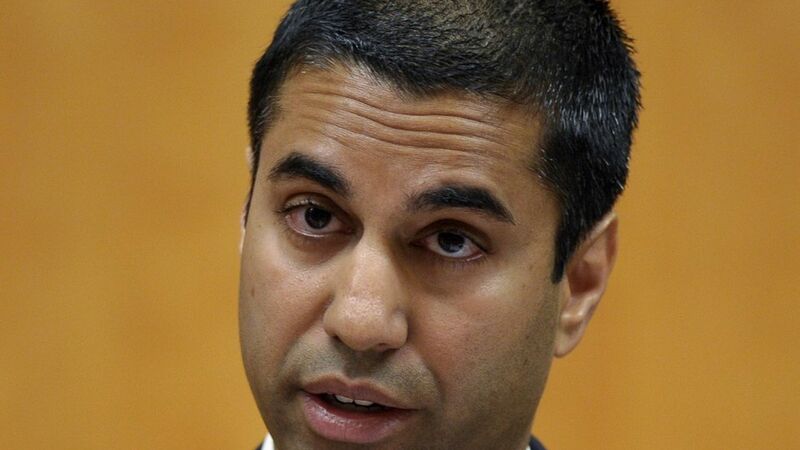 What it means: Pai has said he favors net neutrality rules in principle but disagrees with what he sees as a heavy-handed regulatory approach (i.e., Title II) that his predecessor took. He continues to be vague about the next steps the FCC will take and how it will fit into congressional plans. On rolling back net neutrality rules: "I think the end goal is to preserve the free and open internet that we had for two decades, starting in the Clinton administration... For two decades the proof was in the pudding that the consumer was best served with light-touch regulation, and I think that's the end result that we're hoping to achieve." He added he'll assist congress in their legislative efforts on the issue. Broadband as part of infrastructure package: He touted his idea for "gigabit opportunity zones to give the private sector the maximum incentive to deploy in low income, rural and urban areas." On potential Sprint-T-Mobile merger: Pai said he couldn't make predictions, but that the marketplace is currently "extremely competitive." He added: "We'd have to look at a particular transaction and the particular facts in order to make a determination, but at the end of the day, our goal is to meet the public interest." On light-touch regulation: He said he favors broad regulatory frameworks to protect consumers, but not micromanaging how companies operate if there isn't a market failure . "My own view is that the internet should be run by technologists and engineers and businesspeople. Not by lawyers and bureaucrats here in the nation's capital."